From 1961 Baia have been a manufacturer of sea going vessels and here we have their one of their master pieces in the award winning Baia 78 Atlantica. 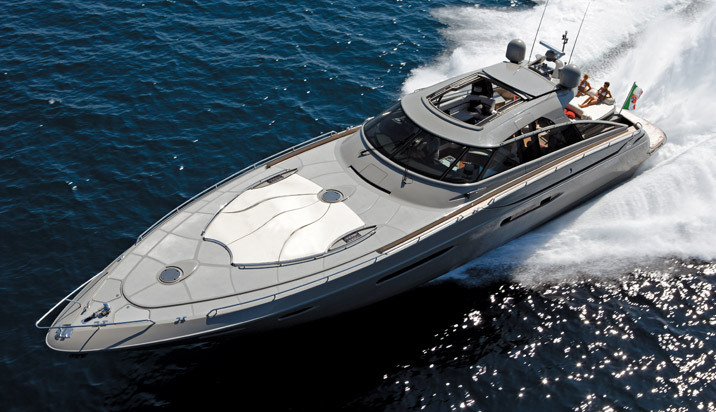 Baia have been a leader in design innovation such as removable hard tops and first for using the Arneson surface drive system coupled with seemingly timeless exterior design. 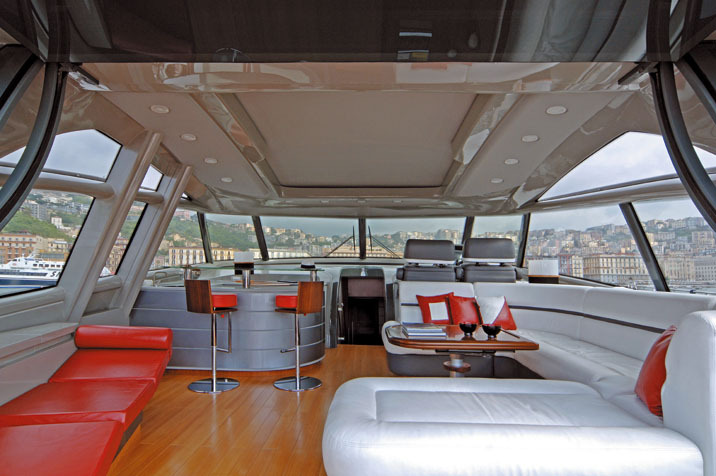 Being of Italian origin you will immediately see the form governs function when you step aboard, the modern teak decking leads your eyes through the entertainment area of the cockpit and draws your eyes directly to the ultra modern patio door opening system that when opened brings together a beautifully open planed cockpit and saloon perfect for guest party evenings. 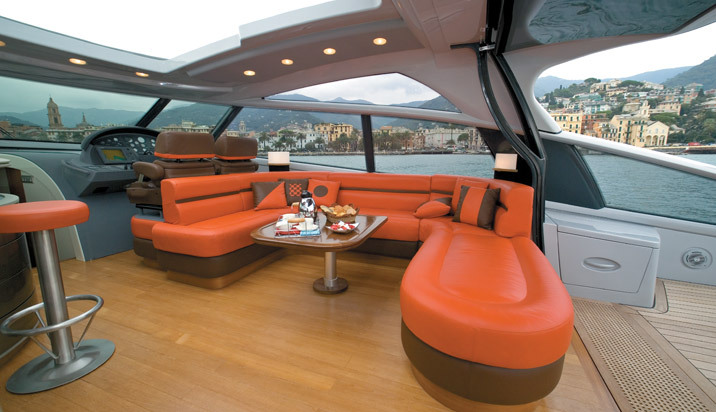 There is a convertible sunbed and central located C-shaped settee in the aft cockpit area on entering the saloon through the patio doors you will find an L shaped lounge suite and bar area, further forward you will see the dual helm position located to starboard. The whole saloon area is beautifully layout with large accommodating windows either side to extract as much natural light into the area and equally good viewing from within when cruising. Stepping below will bring you to the galley room layout, here you will find a modern crafted cooking area with a metallic feel with an optional area for entertaining if required. 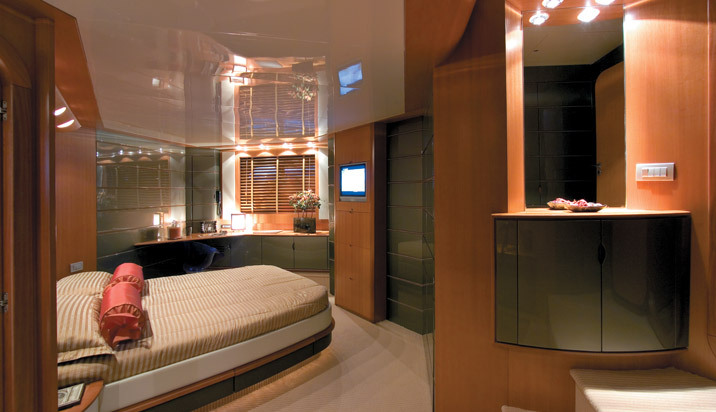 The Master cabin in located mid-ship and is beautifully crafted in light tanned materials and high gloss wood finish, with a spacious en-suite bathroom featuring separated shower. 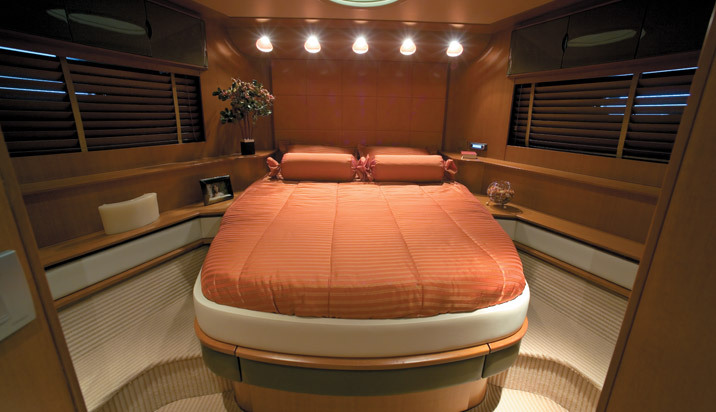 VIP cabin is located forward and crafted in a similar look and feel to the Master cabin and has a personal en-suite. There is another double berth guest cabin with en-suite head and the crew cabin is located mid-ship and has two bunk berths and a private head. 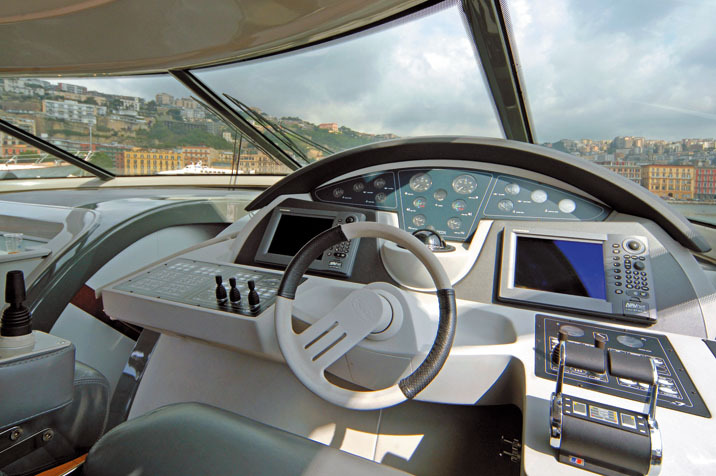 However as you would expect from vessels of this size there are multi options for layouts and furnishing materials throughout the Baia 78 allowing you to build that personal touch to your craft. 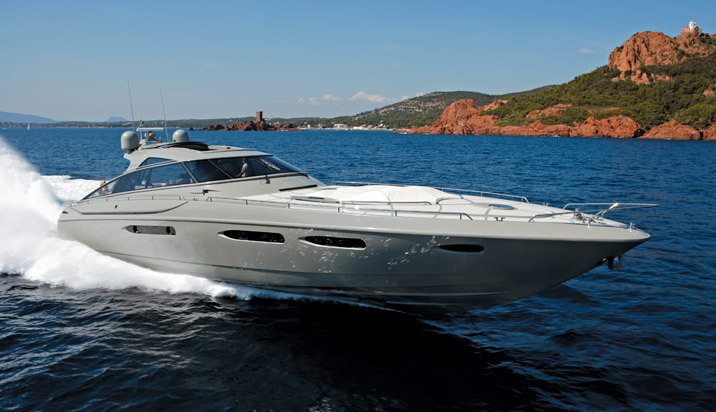 The Baia 78 can be supplied with engines options from MTU, our choice would be the MTU 16V 2000 M93 – 2430 Cv. X 2 Arneson Drive ASD 15 which give the Baia 78 an unrivalled performance for her size, she will hit a top speed just short of 50knots that says a lot for the design of her hull and the set up of those Arneson surface driven propeller system. Baia have produced a winning formula in the 78 Atlantica, her sleek modern lines beautifully crafted interiors and innovative touches such as the disappearing patio doors place the Baia firmly within top ranks of sports cruiser manufacturers, add this to her blistering performance and sea going capabilities and you have yourself yet another great timeless classic from another Italian boat builder. 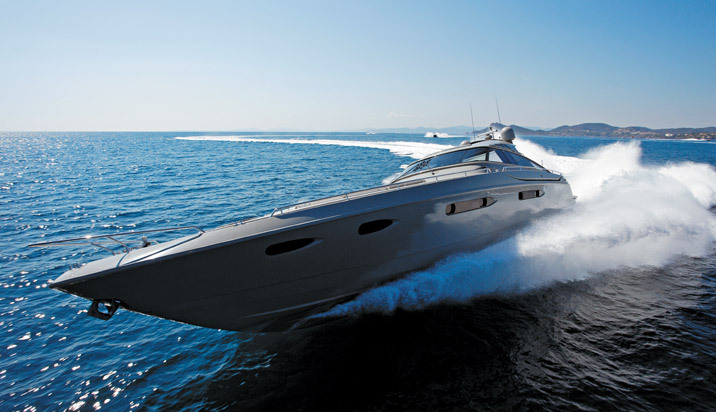 Great review and thise Amerson Drives are awesome we happened to be sailing in the Med near Italian coast and a Baia 78 flew past us with that awesome spray tail the video shows exactly what we saw. Thanks wsb keep up the good work. 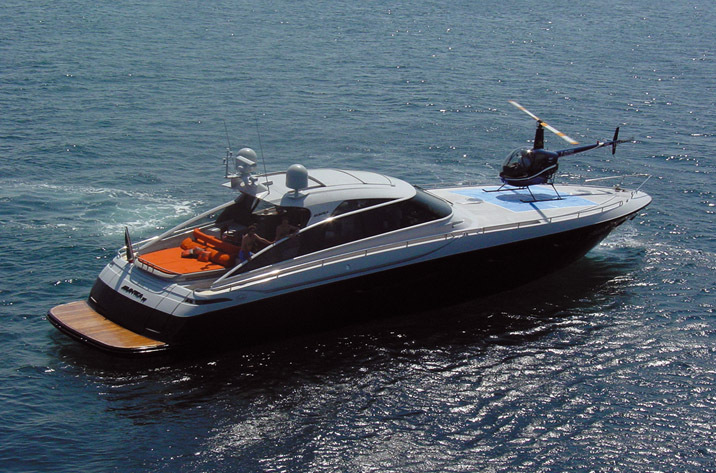 do i want the boat or the helicopter? decisions decisions!